It’s that time of year again. Millions of Americans have filed their taxes, found out they’ll receive a tax refund and are figuring out exactly how they’ll spend that money. Some people will save the money for a rainy day. Others may splurge on something shiny and new. Then, there are pet parents who might be wondering what to buy for their dog or cat. 1. Take care of their basic needs. You’ve already given your pet a home. That takes care of the shelter. What about food and water? Like humans, hydration is important for cats and dogs. Your pet needs one ounce of water per pound of body weight each day. 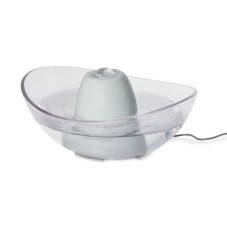 Make sure they have a constant supply of fresh water with a pet fountain. Is your pet is on a strict diet or eating schedule? If so, an automatic feeder might be the perfect tax refund splurge! You’ll never have to worry about missing a feeding time, which will keep both you and your pet happy. 2. Open up their world with more freedom. 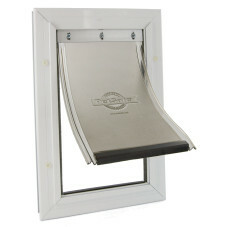 Pet doors and pet fences give your dog a passport to come and go as they please in your yard. With secure access to the outdoors, your dog or cat can enjoy the outdoors without you worrying about their safety or the cost of a traditional fence. 3. Make playtime last longer! If you’re a pet parent to a dog or cat with boundless energy, you know the importance of getting plenty of exercise. But, being active is important for all pets. You can make playtime interesting with toys that play to your pet’s natural instincts. Interactive toys will engage your dog or cat in hours of playtime to give them the vital exercise they need. 4. Give them the best in pet tech. Pet gadgets and connected products can make life better for you and your pet. 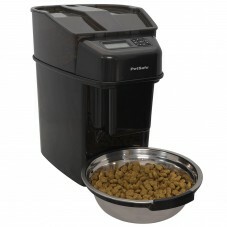 Aside from automatic feeders and toys, you can even make obedience training and housekeeping convenient. Just imagine never having to scoop a litter box again! With an automatic litter box, you don’t have to see, smell or touch waste. 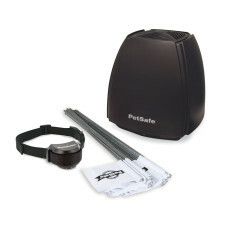 Or, use your smartphone to make sure your dog is on his best behavior with a trainer with Bluetooth® technology. 5. Help them look their best. Take your dog or cat on more outdoor adventures. Harnesses and leashes will keep your dog’s attention focused on you, while giving your cat the space she needs to enjoy the outdoors. You can give your pet a style that suits them with fun prints and colors that really bling.